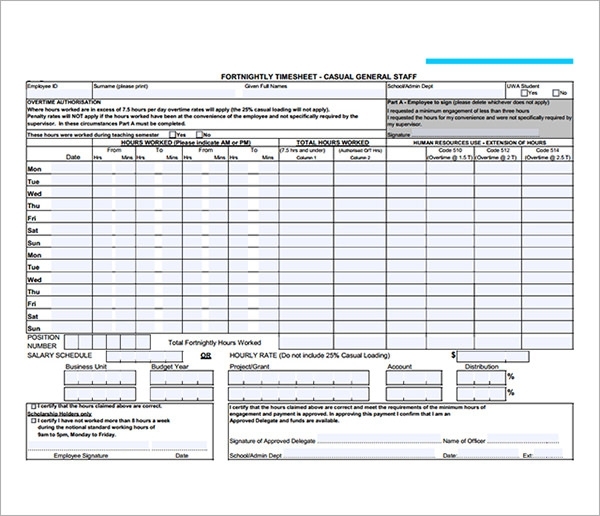 The Timesheet Calculators is an essential tool for sure. Imagine being able to record the number of hours worked , turning those hours into appropriate decimals and then using the data received to calculate payment of an employee. It is just that quick and the results are great. While you may not depend on this for all your financial data, you can be sure that it will play a vital role of easy management of employees’ worked hours. The hours worked calculator is what you should be using if tracking the number of hours worked by employees in the organization. Kindly note that Hourly Timesheet Calculators is a useful tool in the case where the payment of an employee depends on the number of hours they have worked at the company. This case applies, whether the employment type is casual, on contract or full time. 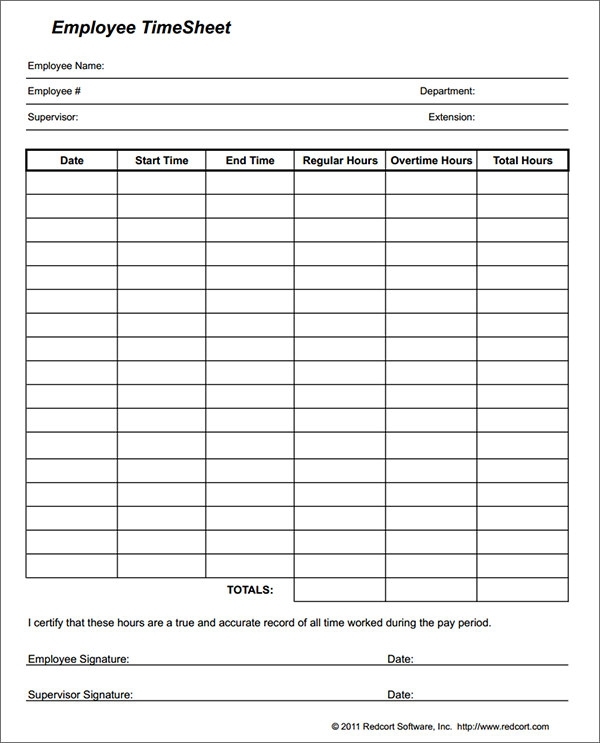 The template is specially designed to calculate the hours spent by the employees during work hours. It helps to keep a track record on performance of the employee and also it is beneficial to set up a business analysis. 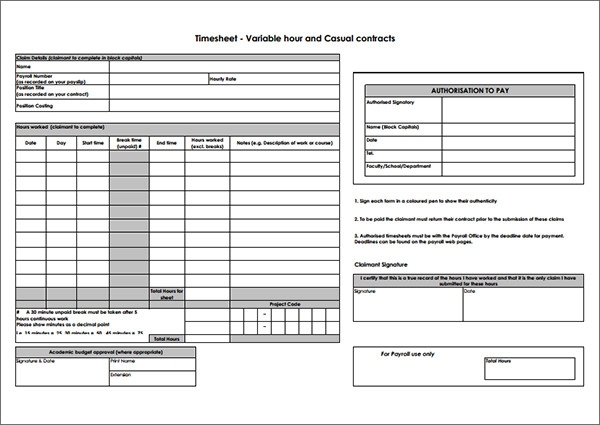 The templates are designed graphically to check the number of hours your staff is working for. It helps to have a timely check up and also performs the layout of the chart to keep on checking the performance of the employee in the dedicated hours. 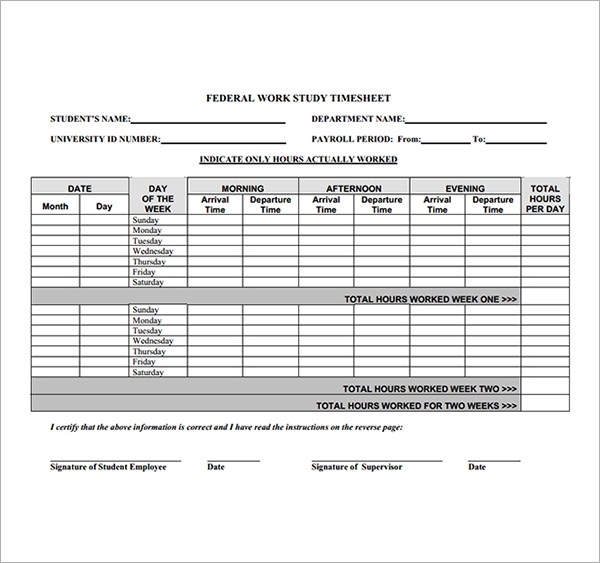 The Student Work Hours Calculator Template is specially designed to serve the purpose of maintaining the track record of the kids. 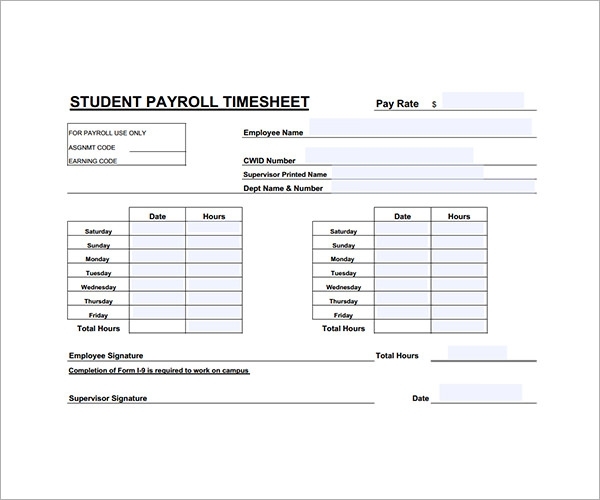 It is actually more precisely working as a timetable that helps to schedule the working hours of the student in school. The template can be designed and personalized as per the requirements of the teachers either on individual basis or on the basis of the class. The template works to have a record of the progress of the individual or the company. It can also be used as a very good analytical approach to enhance the performance of the individual or the staff. It acts as a good strategy to keep a record of the working time hours of the staff and individual employee or even the students. 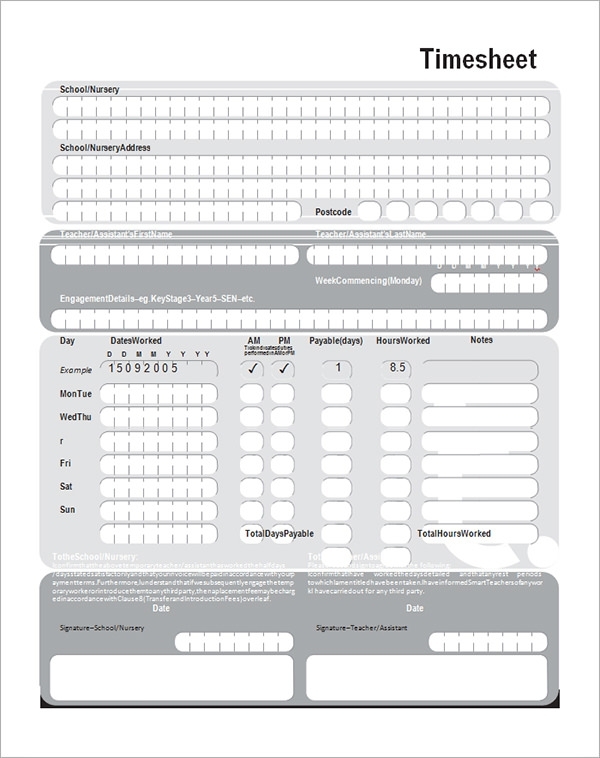 The template helps to design the time sheet in the form of a time table that can regularly be followed for a boost in performance. Why to Use Hours Worked Calculator Template? 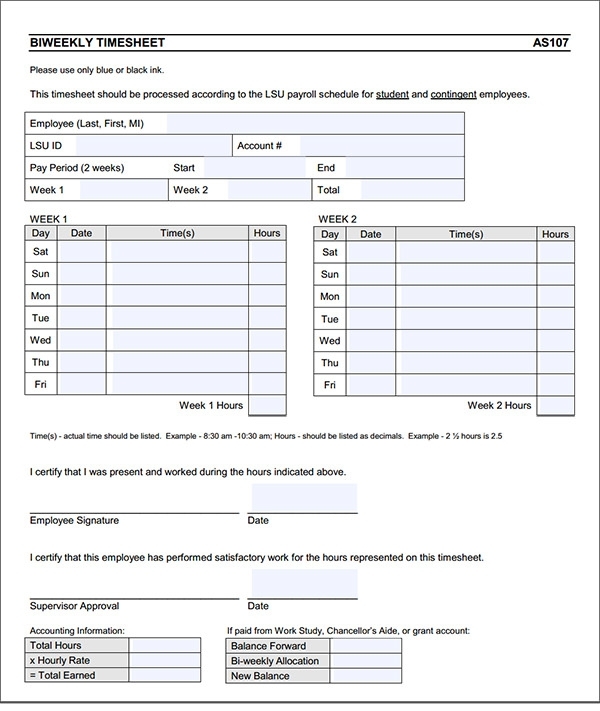 It works as an important tool to calculate the working hours for the person. However it can be used to boost up the performance of the individual or the company and play a vital role in making the management of the working hours easy. The templates give a chartered performance of the working hours to calculate the actual performance needed and the presently being done. 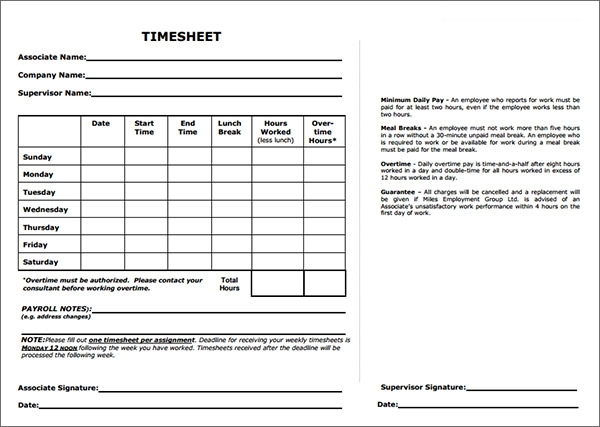 This may also be used by the students to help them increase their timings and working hours for better results. 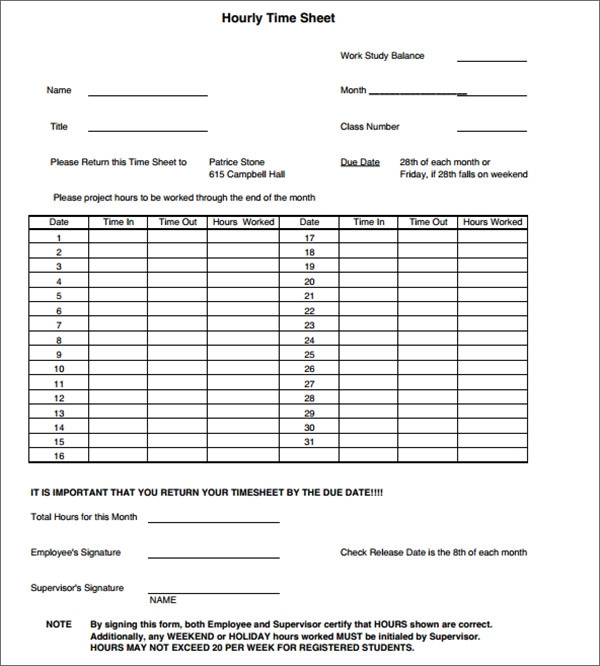 You may like Monthly Timesheet Calculators. When to Use the Hours Worked Calculator Template? A calculator is generally used to calculate the numerical values which are here the timings of the working schedule. If a company is not able to earn up quite profit from the staff or the employee or any school which is unable to have the best results then they can definitely opt for the hours worked calculator template. It helps to keep a track record of the timely working hours in order to have a strategy against the lag for the best results. It is free of cost so it can be easily accessed at anytime and anywhere. It allows having the flexible adjustments as per the requirements of the person. It can be used for building up good business plans or finding out the good results for the progress of the school. It is actually used to generate the number of hours that is worked by the employee and then calculate the paycheck as per the need. 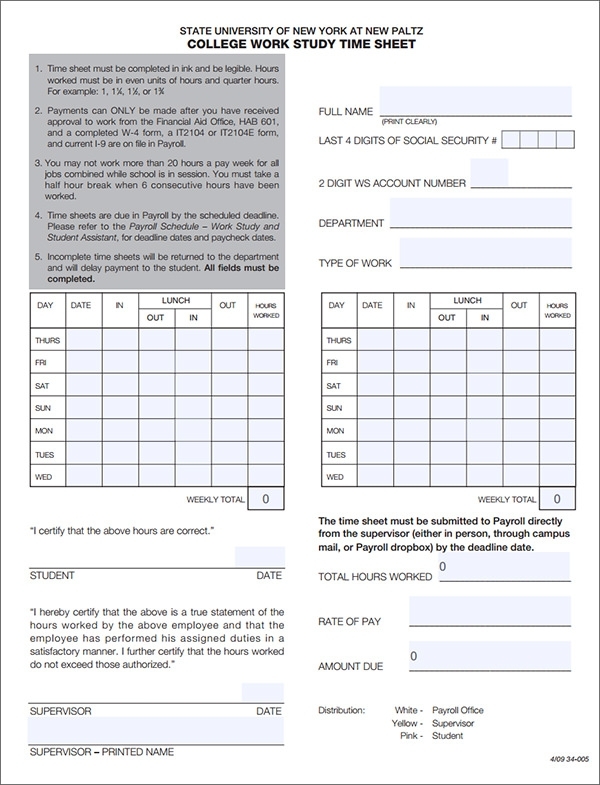 The accurate paychecks can be easily made by using the techniques of calculating the working hours. 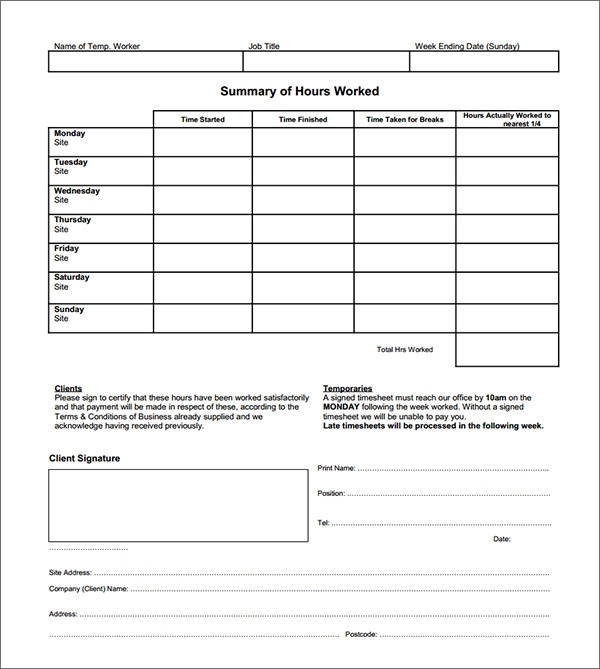 The hours worked calculator template is proven to be an effective tool. With so many benefits that it provides, it also sets up the strategy to execute the business plans further with improvement. Timely check up of the working hours helps to boost the business and also the performance of the employee to have profit.